Industry big shot and Apple Music head Jimmy Iovine reiterated his commitment to the company on Monday, saying he's "loyal to the guys at Apple" and has no plans to leave. "I am committed to doing whatever Eddy [Cue], Tim [Cook] and Apple need me to do, to help wherever and however I can, to take this all the way," Iovine told Variety. "I am in the band." Iovine was responding to reports that he would move on from Apple in August after stock options said to be worth nearly $1 billion were fully vested. "There is a tiny portion of stock that vests in August, but that's not what I think about," he said. "My contract is up in August, but the funny thing is, I don't have a contract. I have a deal, and certain things happen along that deal. The bottom line is I'm loyal to the guys at Apple. I love Apple, and I really love musicians. That's why those articles annoyed me, because it had nothing to do with reality. It made it out to be all about money." 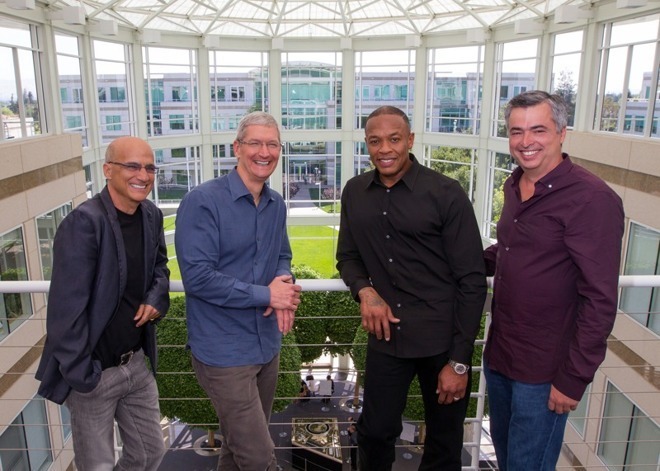 Apple Music continues to experience significant growth under the direction of Iovine, Cue, and content head Larry Jackson. The service now has more than 30 million subscribers, and Iovine expects that trajectory to continue with new exclusive content initiatives. "Netflix has a unique catalog, because they don't buy HBO and they have their own catalog. Then on top of that they have a little thing called $6 billion in original content. HBO has $3 billion, Amazon probably has $4 billion. Well, guess how much original content streaming has: zero! Fundamentally. All the catalogs are exactly the same." While reports have said Apple is preparing to spend more than $1 billion on original video content, it's not known if or how much the company would shell out for similar music deals.